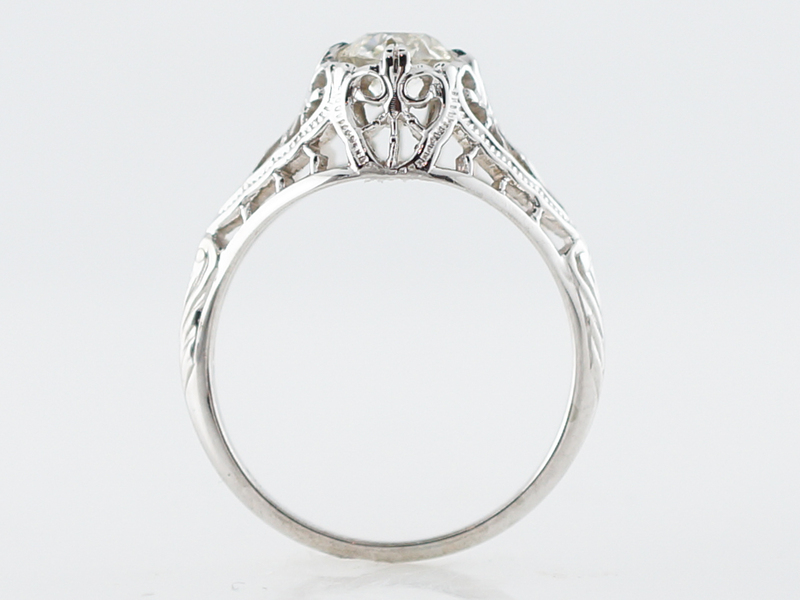 This is a truly stunning example of art deco craft work and design. 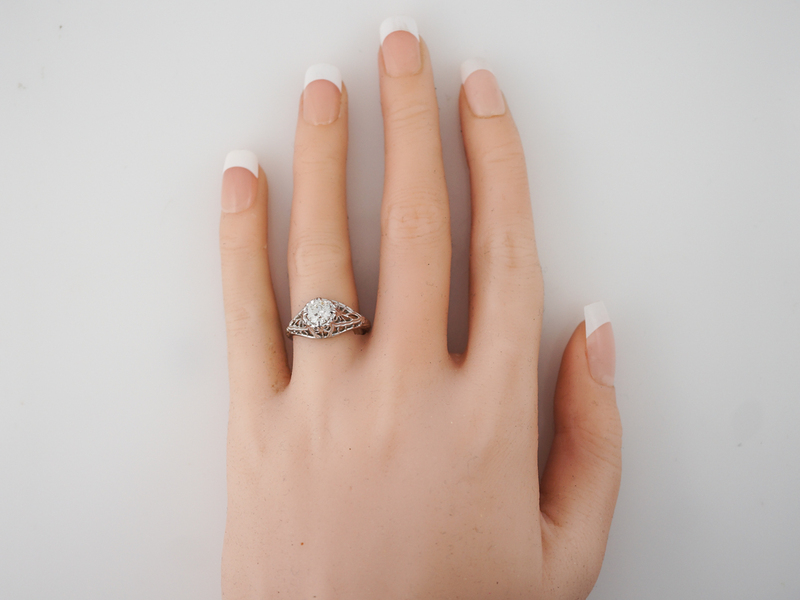 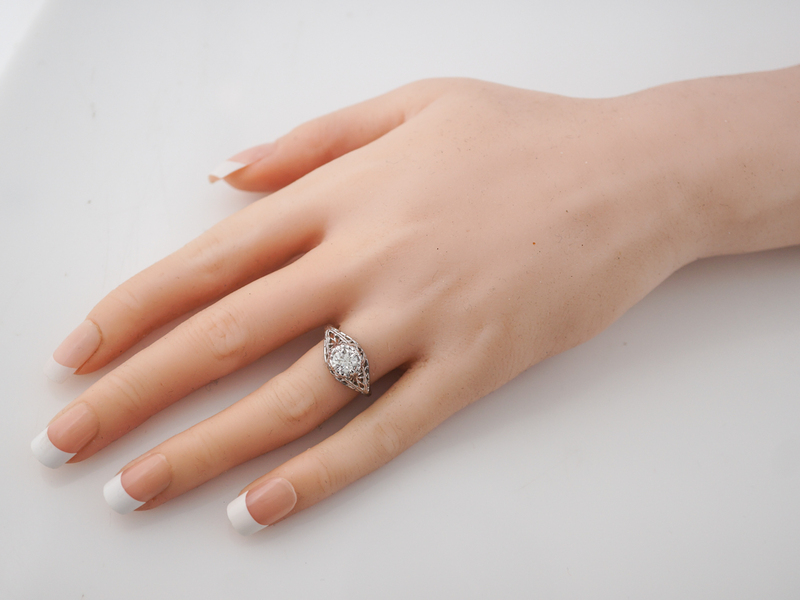 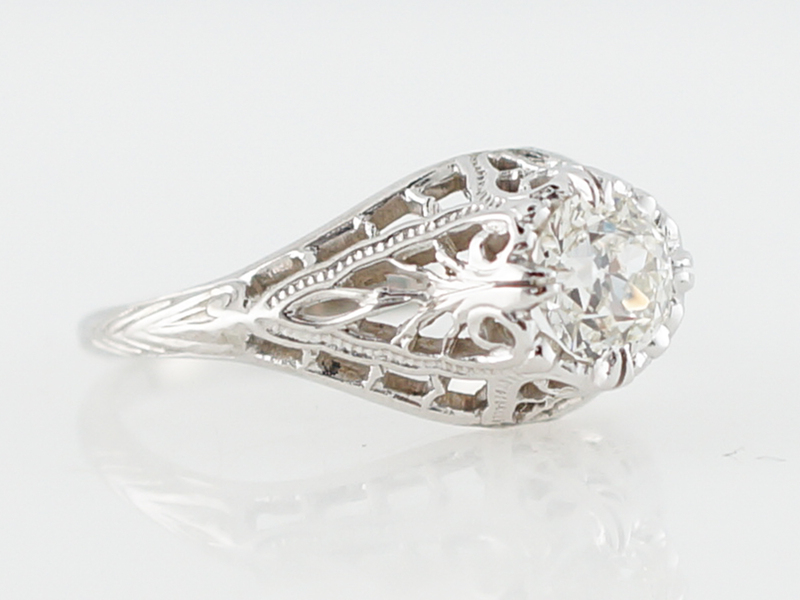 This antique engagement ring comes from the beloved era and features a .72 carat old european cut diamond set with four (4) prongs in an 18k white gold mounting. 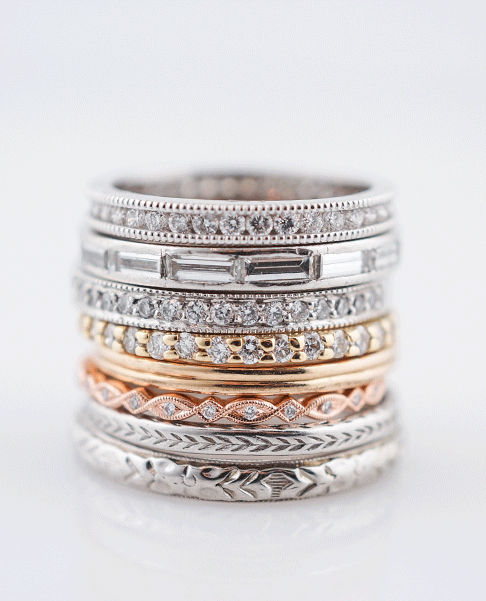 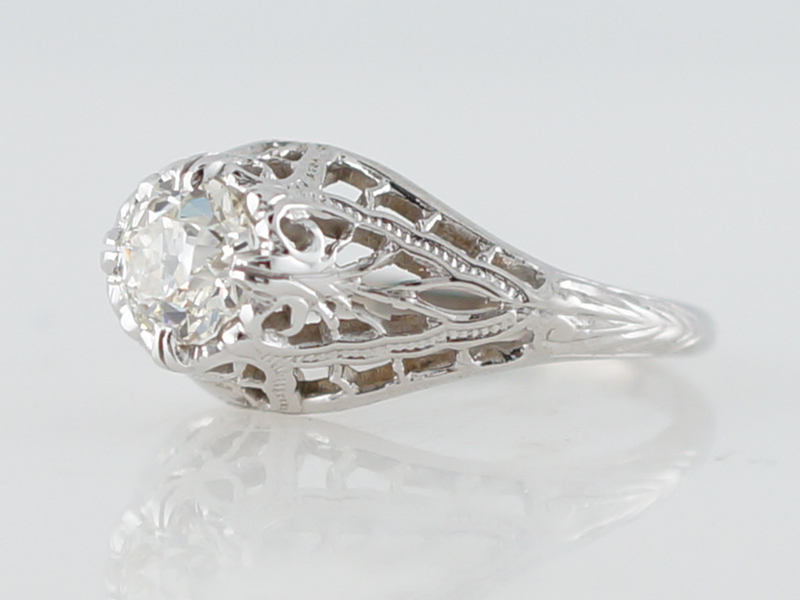 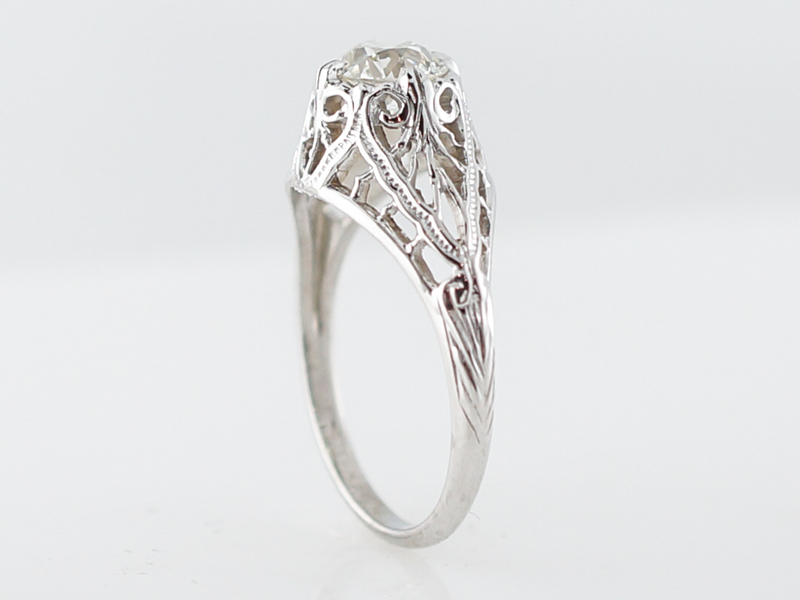 This ring also incorporates some striking filigree and metal detailing. 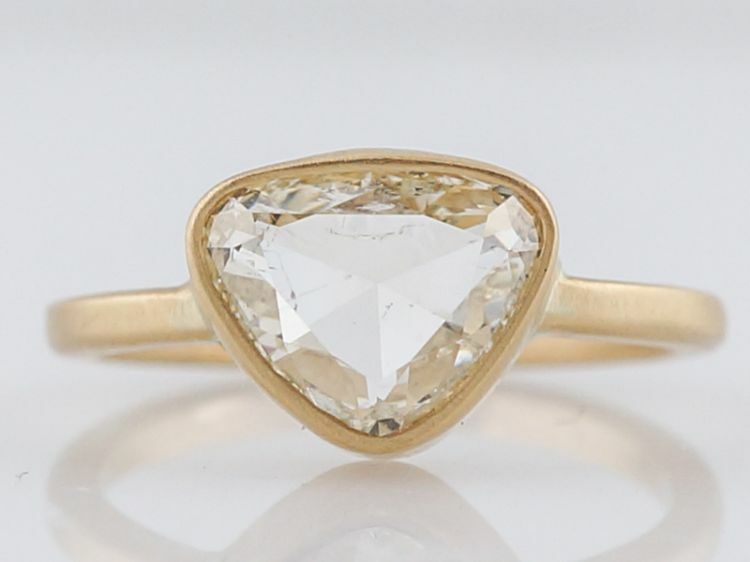 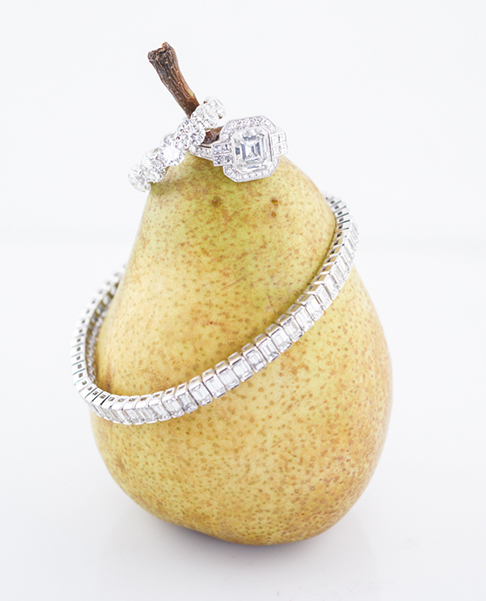 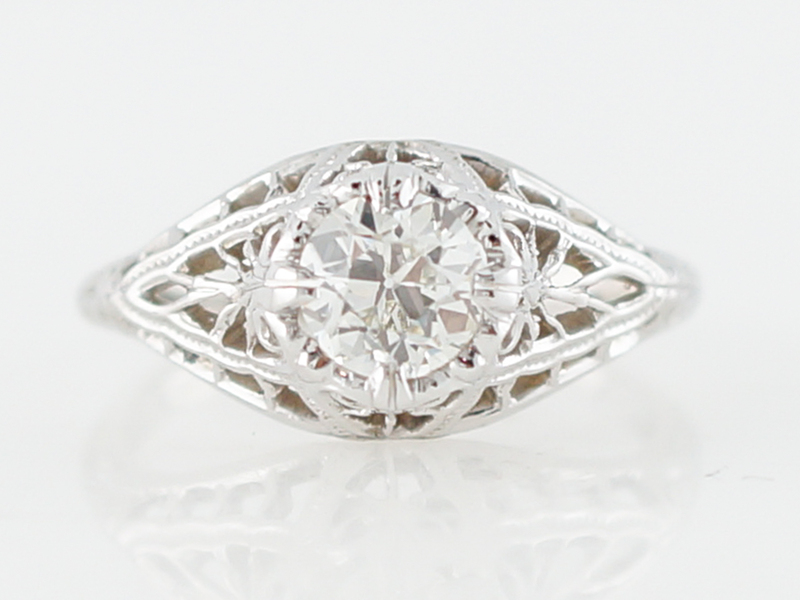 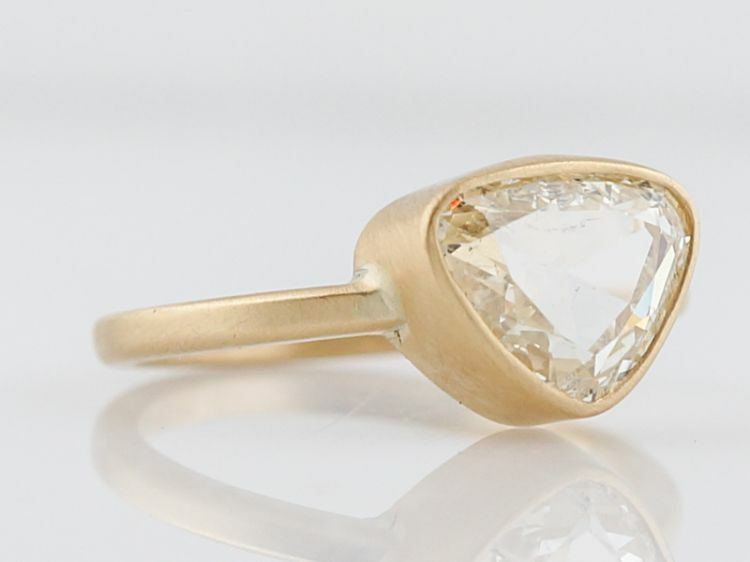 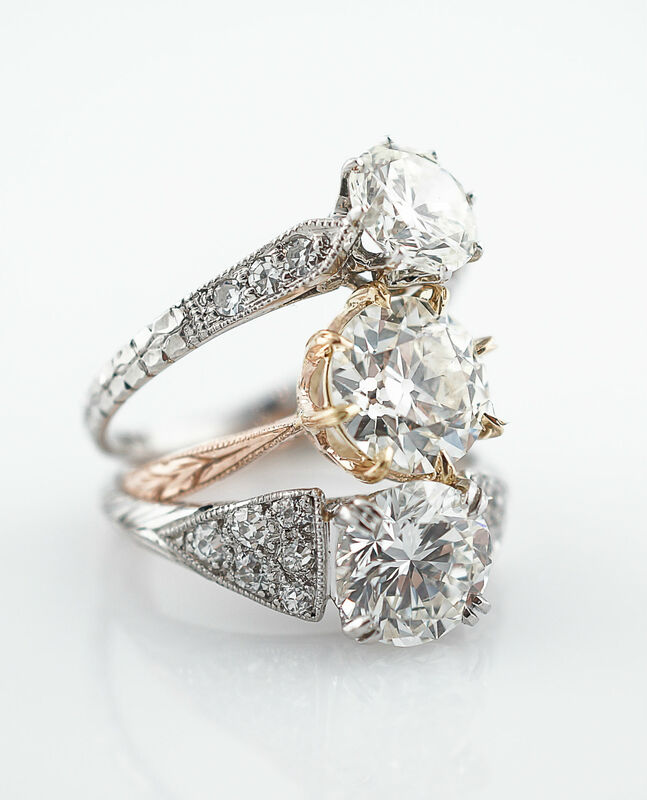 The softer curves and lines might put this ring earlier in the time period. 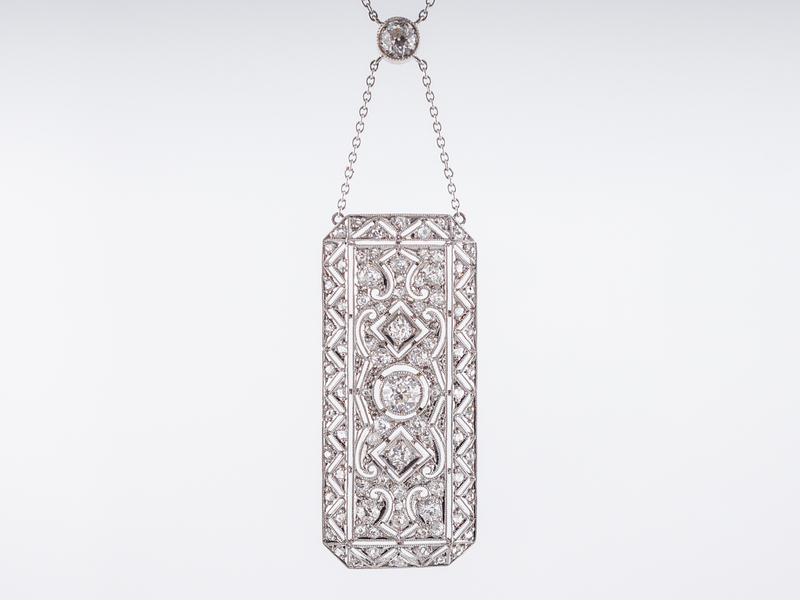 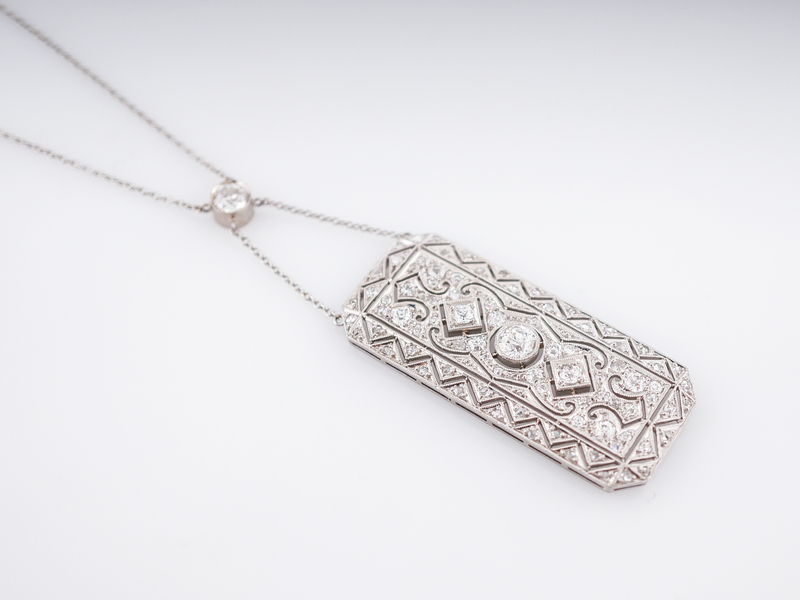 A very special piece.